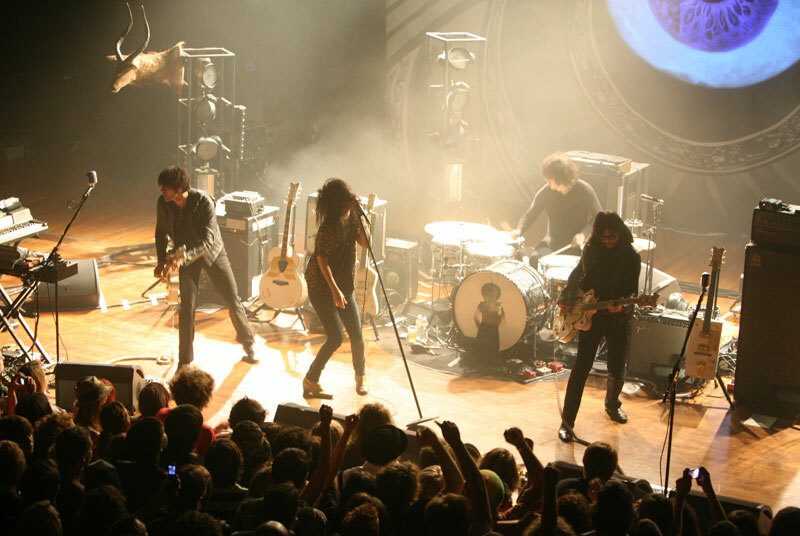 The Dead Weather is performance at the Babcock Theatre in Billings on July 27. 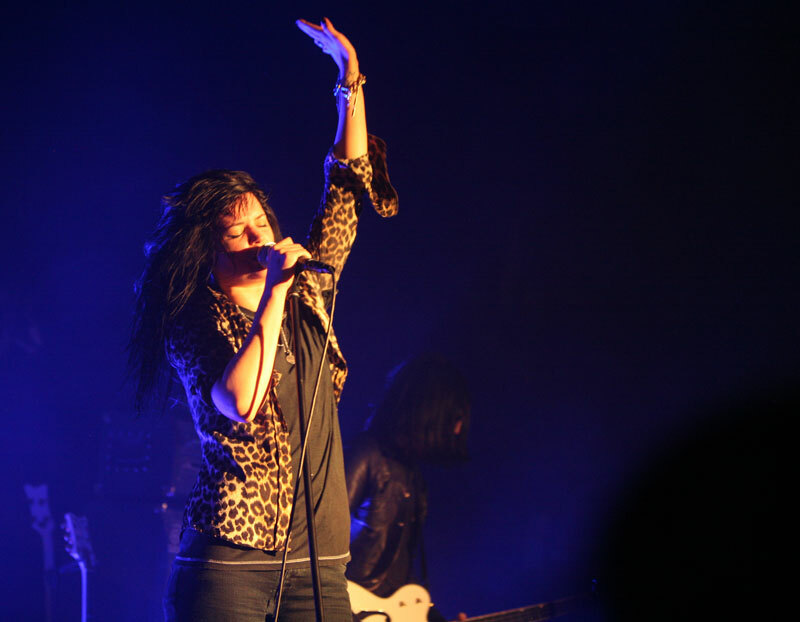 The Dead Weather lead singer Alison Mosshart in Billings on July 27. With crowds to the rafters of the historic Babcock theatre and a light show that reminded of Clockwork Orange, The Dead Weather’s sold-out performance on July 26 in Billings was packed with chaotic sounds that were epically jolting—a sensory assault of shrill lights and dark, pummeling rock. The performance dropped jaws. Frontwoman Alison Mosshart is a back-bending superhero of screeching feminine prowess. A Joan Jet meets Karen O fembot, Mosshart is a bionic force live. During the band’s set, thick rolling clouds of body head rose in the vintage art deco theatre. Hung amongst the stage equipment were various wild animal mounts, corroborating the night’s strange vibe. The keyboard and bass reverberated throughout the building, a deep, synthesized sound. Crawling atop the speaker, her arm outstretched in classic rock pose, Mosshart stole the show. So well-loved, Mosshart even received a surprise bear hug from a wispy female fan who jumped onstage and was quickly snatched away.